Looking for a memorable place for your childs Birthday Party? Celebrate your families milestone with us! We can work with you for your special theme or give you our popular Farm Birthday Party. Birthday parties are planned for the age and interest level of your birthday child from age 3 and up. Our birthday parties are focused on the farm animals. We tour the farm stopping at each animal so children can experience each one using their senses. Children feed the sheep/goats hay, throw corn to the chickens, and have hand contact with all the animals who are safe to touch. 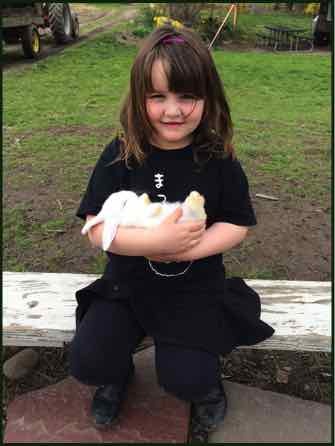 In the spring, we spend a special portion of the party holding our littlest farm animals (bunnies, chicks, ducklings..., and bottle feeding a baby goats, lambs or piglets!) 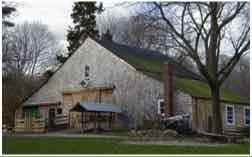 Generally the parties are held on either the Event Barn porch or in the Grey barn. 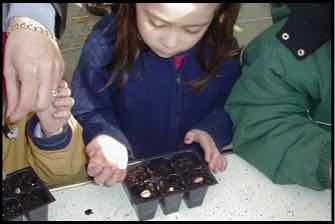 The Basic party package includes: one hour of farm-related programming, plus an age appropriate seasonal hands on activity like planting seeds in the spring or making tops or painting pumpkins in the fall. We set up an area with picnic tables and table cloths for parent provided snack and/or cake during the last half hour. Children each leave with their seed pack or other farm craft. Parents are welcome to give out goodie bags as well. Total time is one and one half hours. 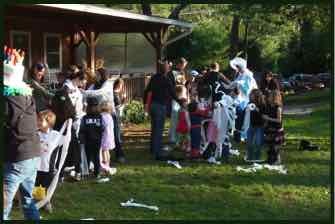 (price $300) for the birthday child and up to 12 guests (additional children are welcome for $10.00 each*) Each party allows 20 adults free, $5 for each additional adult over 20. 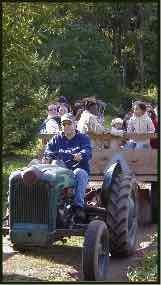 The Extended Party: adds a tractor and wagon ride to the fun! The farm programming consumes one and one half hours for this package. 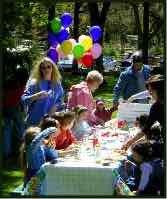 (price $350) Includes the birthday child and up to 12 guests, extra children are $10.00 each.*. Total time is two hours. *Please keep in mind that if siblings come along, we will include them in the count, so plan accordingly. Each party allows 20 adults free, $5 for each additional Adult over 20. 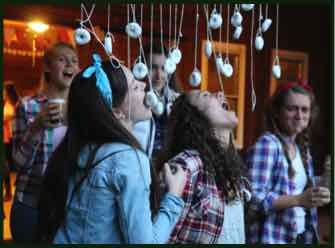 We offer invitations from the farm with your registration. For information about special 1year old, sweet sixteen, adult and other events please call the farm.